For those who have been following me on Instagram, you might have noticed that I would regularly use a certain hashtag called #frannymeday mostly on Saturdays. You see, Paul has work every Saturday which means I am all alone for most part of the day. Normally, I would just spend a couple of hours in the gym, grab a quick bite and run some errands while waiting for him to get off from work. I have to admit though that doing this for a couple of years now, it can get a bit lonely and the wait till his work ends can sometimes feel like forever. I'm lucky to have a couple of sweet girl friends here in Singapore who willingly offer to be my Saturday date to keep me company. Leading the #squad is my college friend T. She and her husband moved to the Lion City a few years before Paul and I did and we would go out for lunch dates once in a while since our offices are near each other. 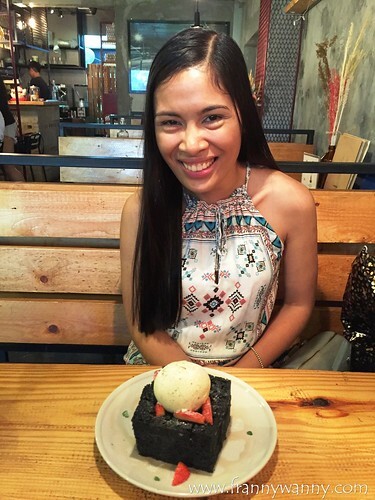 Lately, she has also been my favorite companion for weekend blog events or just whenever we feel the need to catch up and to enjoy a good meal. I'm so thankful to have T (and her hubby S) here in the Lion City too. 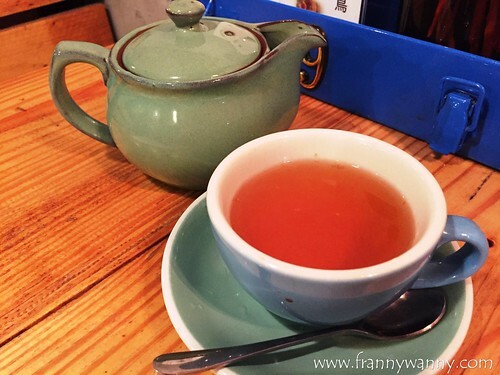 A couple of months back, T and I braved the crazy strong Saturday rain to meet up for Afternoon Tea. 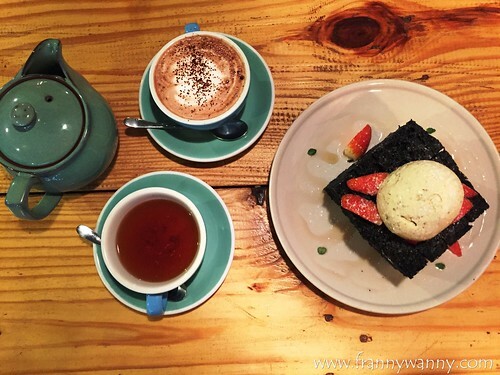 Thanks to my Sugar App, we discovered Stateland Cafe which is located at the heart of Kampong Glam in Bugis. Stateland Cafe is known for two things -- Red Velvet Waffle and Honey Toast. That afternoon, we went for the latter. There are two types of Honey Toasts available. The White Honey Toast (S$16) is your regular looking thick toast which is topped with honey yogurt ice cream, fresh berries and honey syrup. 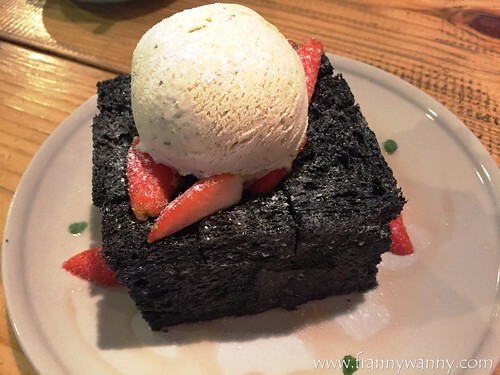 However, we're not really the type who would go for the ordinary so we courageously went for the Black Honey Toast (S$16) which comes with a big scoop of pistachio ice cream, lime, basil and strawberries. Sounds much more interesting, don't you agree? I wonder how they were able to make the toast black as it doesn't taste charred at all. I love the sweet hint of honey that I got in every bite and the ice cream perfectly complemented the fruity taste. So yummy! To go with our toast, I got a pot of Lemongrass Chamomile (S$6) which was just a-okay. I find the tea to be quite bitter and it doesn't have a strong lemongrass nor chamomile flavor. I'm skipping this next time. T seemed to have enjoyed her Hot Chocolate (S$5) more. Stateland Cafe also has a couple of hot meals such as pasta, risotto and even burgers. I'm not sure if they're good though but I'm looking forward to trying them on my next visit. You can also cross order from its sister restaurant called Brother Bird which specializes in soft-serve ice cream shaped like a .... poopie (heehee). Stateland Cafe is located at 30 Bali Lane, Singapore. Follow them on Facebook and on Instagram for more information. Don't forget to download the Sugar app to get great deals and for fun discoveries too!